Patti is 3 Legged Thing's first full-size tripod available for under £100. 3 Legged Thing has a brand-new magnesium alloy tripod that's called 'Patti' and its the latest model to join the Punks range of tripods. Patti, named after Punk legend Patti Smith, is available for less than £100 and boasts a higher maximum load capacity than is usually found in tripods (up to 10 kg/ 22lbs of camera equipment). 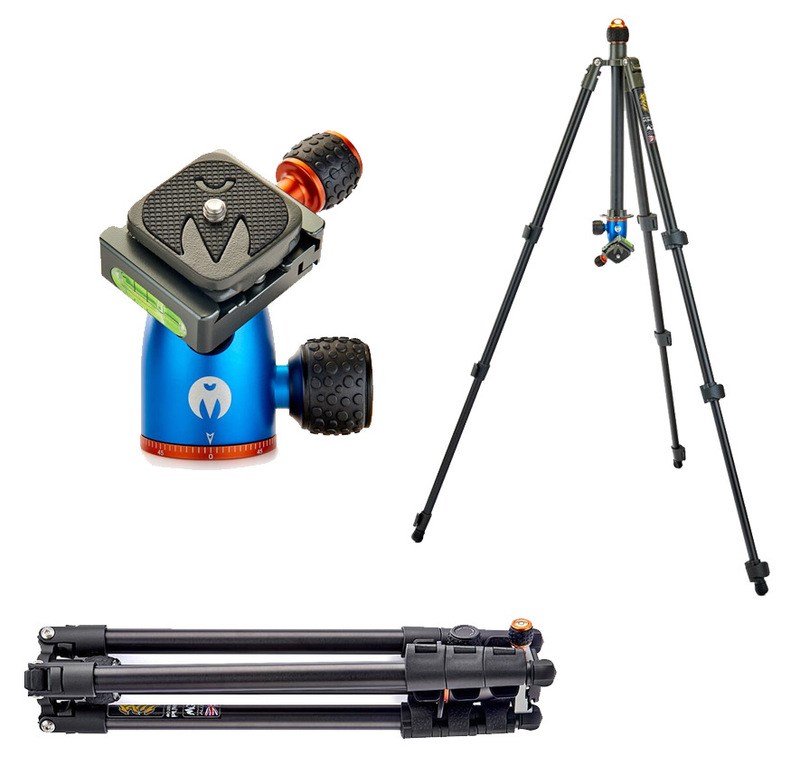 Flip leg locks, formed from rugged hard-wearing ABS plastic, keep the tripod secure when in use and the legs can be angled to 23Ëš, 55Ëš or 80Ëš, allowing them to undertake shooting as low as 11cm/4.25" from the ground. Plus, the tripod has a single-section centre column that is both removable and reversible. Patti ships with a new, simplified ballhead – the AirHed Mini - which features just two controls; the release plate clamp knob and a combined panning and ballhead tension knob, which allows photographers to make composition and position changes using a single control. The tripod, which can be used with a variety of cameras, is 45cm/17.7" long when counter-folded and extends to 1.63m/64" and features 3 Legged Thing's patented Tri-Mount plate, which enables a compact profile when counter-folded, and includes 3 hollowed spurs for the attachment of accessories. Patti is available in two colours – Punks grey with blue AirHed and accents of copper and Punks Anarchy matte black with accents of British Racing Green. Patti ships with rubber Bootz which are detachable but they can be replaced with 3 Legged Thing's Heelz, Stilettoz, and Clawz (available separately) and is available to pre-order from 14 August, ahead of a worldwide release on 15 September, for £99.99.